Instead of answering these questions repeatedly, it’s time to empower your colleagues to understand and measure your website’s success. Enter Google Analytics (or “GA” for short). The first step to using Google Analytics for any department should be asking a question. What was my donation revenue for August? How many sessions added a donation to their cart? 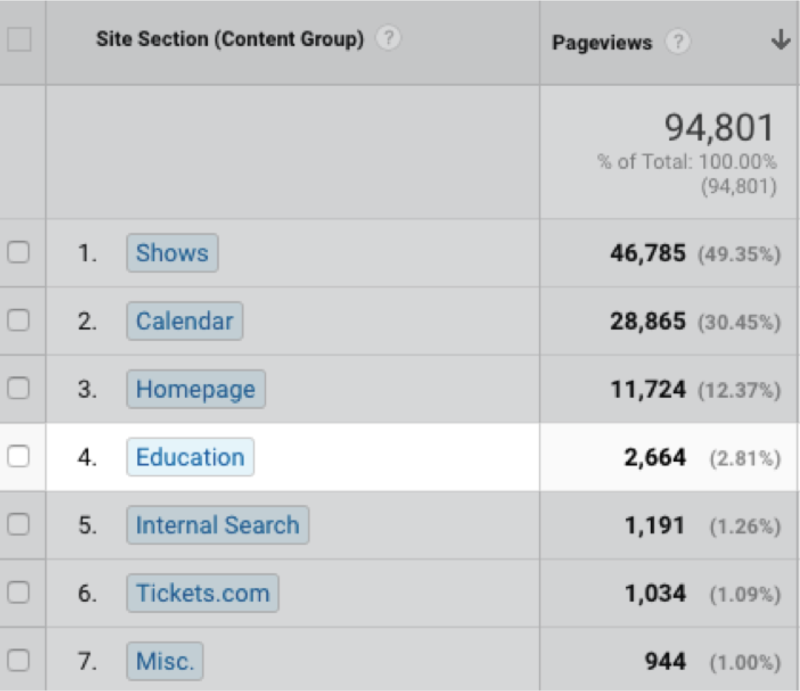 How many pageviews did the Education section of my site have in the past quarter? What pages did users navigate to that led to that dreaded 404 – Page Not Found? 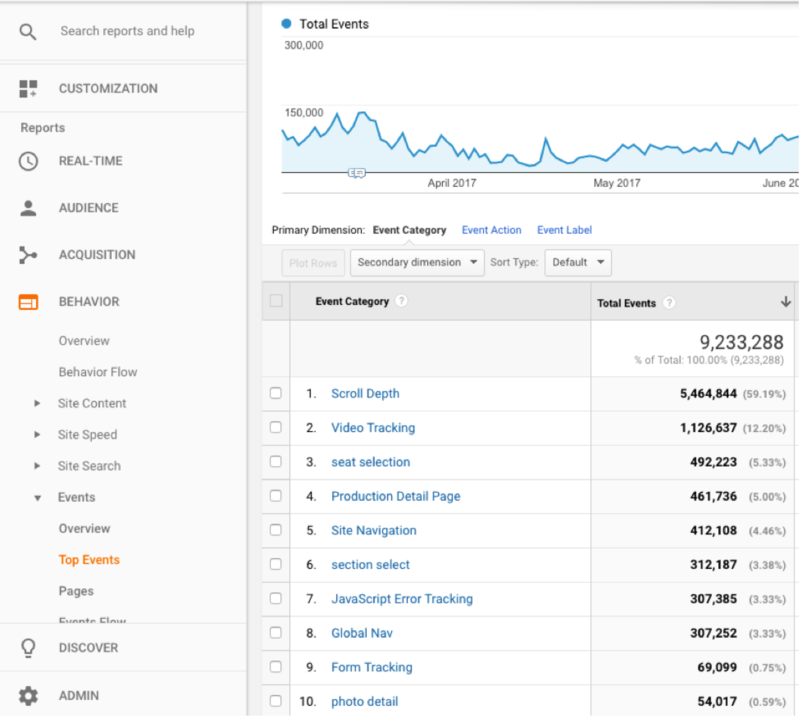 When you start by asking a question, Google Analytics suddenly becomes a treasure chest of answers instead of an overwhelming pot of never-ending data. Question: How many visits were there to the “donate” page on my website? Question: Which development campaigns drove traffic to the website? Answer: You can analyze the success of your campaigns under Acquisition > Campaigns > All Campaigns. If no data is populating in this report, it is probably because you aren’t using UTMs, which are identifiers you can build into your links that can speak to Google Analytics about what campaign they are associated with. You can build custom UTMs here. Question: What was my donation revenue/# of donations over the past 3 months? Answer: You will only be able to find the answer to this question if your Google Analytics is set up to track ecommerce. If it is, click on Conversions > Ecommerce > Product Performance and change the Primary Dimension to “Category”. 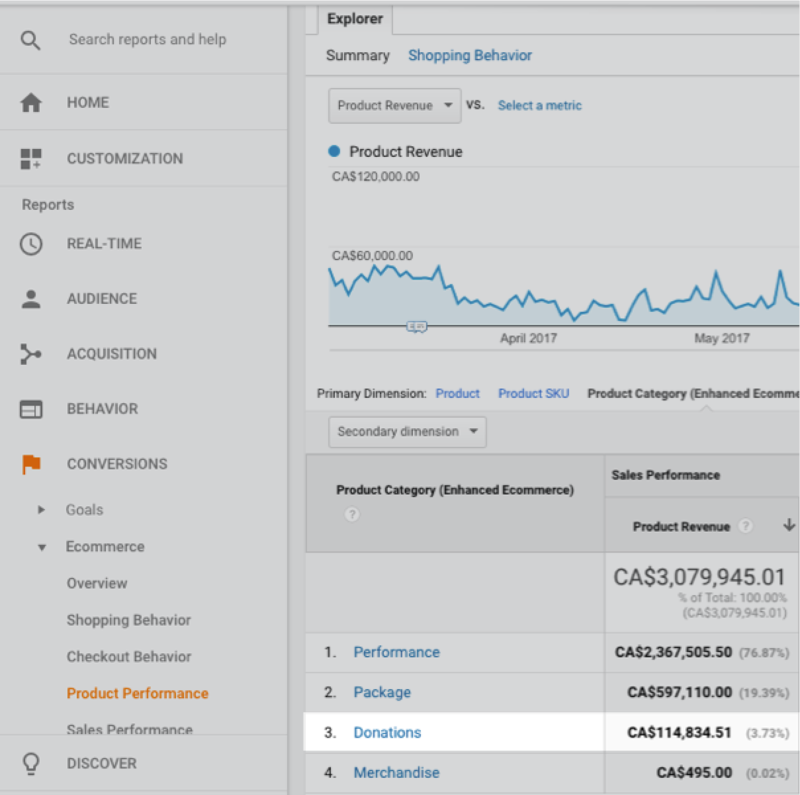 Not sure if your Google Analytics is set up to track ecommerce? Let us take a look for you. Question: How many sessions visited ANY development-related page on my website? Answer: While it is easy to find the number of sessions that visited a specific page on your site (e.g. arts.org/give), it is not so easy to find the number of sessions that visited ANY page in the donate section of your site (e.g. arts.org/give, arts.org/give/gala, arts.org/give/corporatesponsorship). Using content groupings allows us to analyze groups of pages together based on their characteristics. Building content groupings is an exercise that takes a bit of time, but the result will make the time investment worth it because it will allow you to answer these types of key questions. Question: What do the demographics of my digital donors look like? Answer: The demographics reports under the Audience tab give us age and gender information about users on your site. 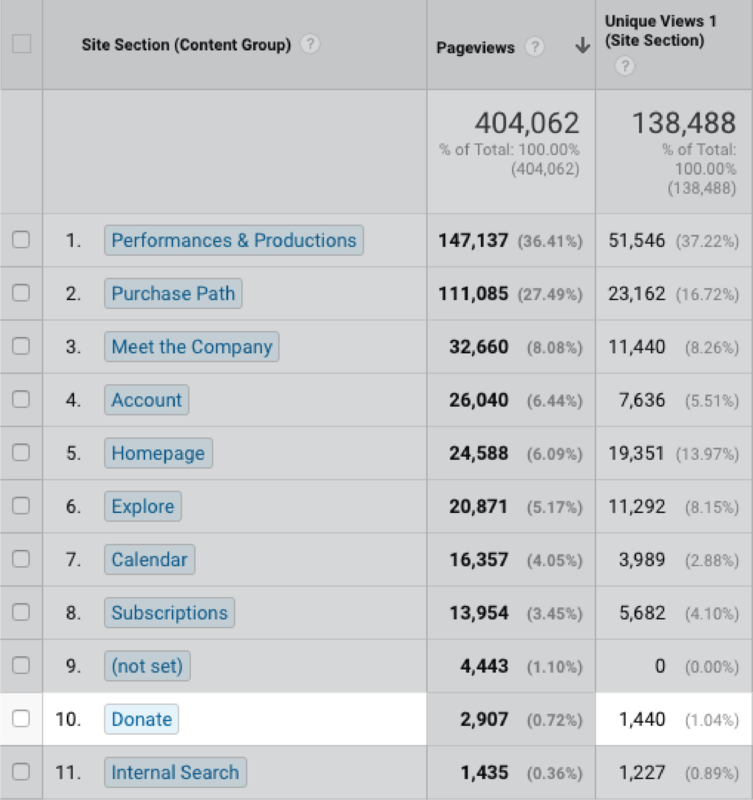 If you want to view these reports specifically for sessions that made an online donation, you can do so by using GA’s powerful Segment functionality. To add a new segment, click “Add Segment” at the top of any report in GA. Then choose the area you want to build your segment off of. 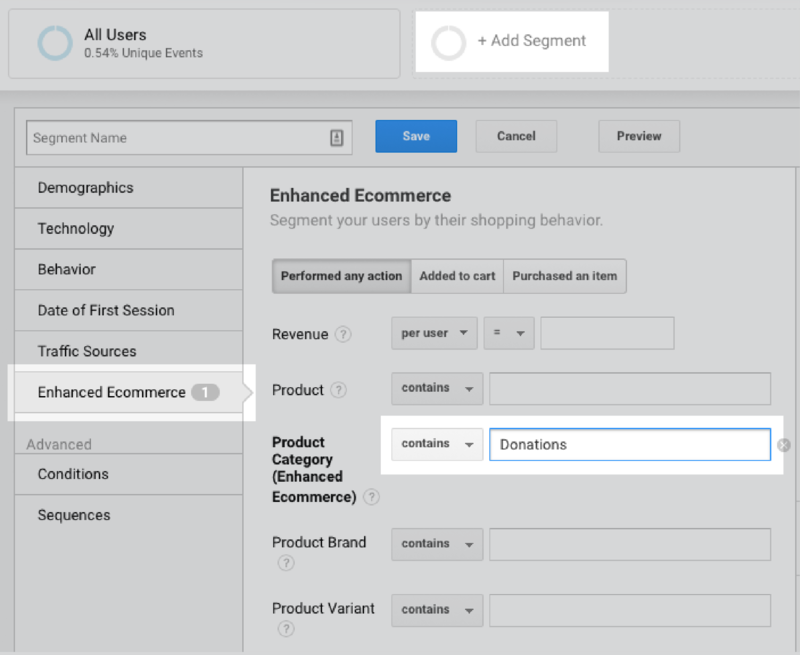 In this case, we would go to the Enhanced Ecommerce tab and choose Product Category contains “Donations”, or whatever other naming convention you are using to describe donations in your ecommerce set up. 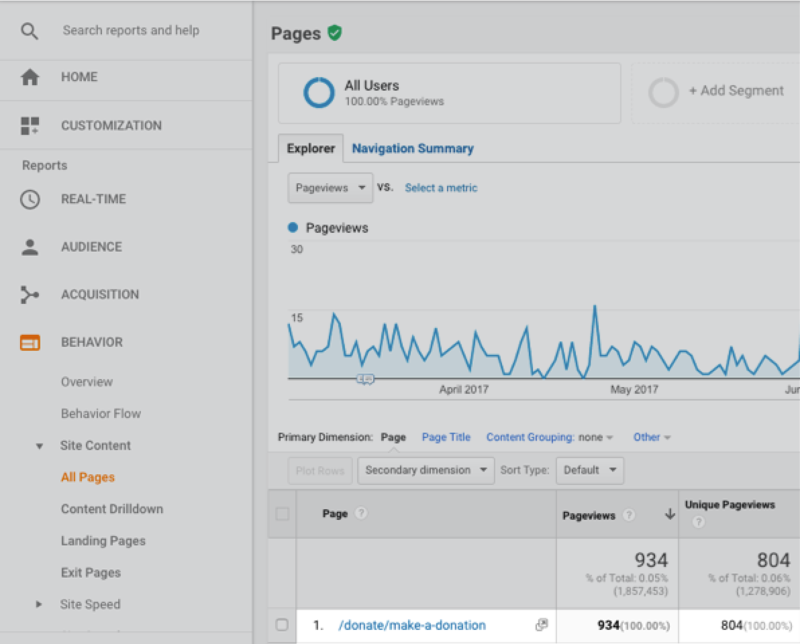 (Tip: If you do not have ecommerce enabled in your GA account, you can also segment for sessions that visited the “donate” page, or other key development-related pages). Question: How many sessions clicked on a “donate” call to action across the site? Question: How many development-related videos were played? Without customization, Google Analytics doesn't track many key interactions on your site. For example, it does not track sessions that play a video or add a product to their cart. Luckily, it is possible to track these interactions and send them to GA through some customization. If you have custom event tracking in place, you will be able to track these valuable interactions and view them in the Top Events report (Behavior > Events > Top Events). If you do not have custom event tracking, you are missing out on collecting critical data about your website, and can conduct an exercise to identify which interactions you would like to collect and then work with an analytics specialist to begin collecting that data (luckily, this can be done faster and cheaper nowadays because of tag management solutions like Google Tag Manager (GTM). Question: How many pageviews is the Education section of the website getting? Answer: The All Pages report (Behavior > Site Content > All Pages) will give you the data on all of the pages visitors are viewing on your website. Similar to development folks, you can use content groupings to make this report easier to analyze. For example, you can compare the popularity of the education section with other sections across the site. Question: How many sessions signed up for a class or another educational event? Answer: Custom event tracking will allow you to track this valuable information, in addition to visitors that downloaded an education file (e.g. a PDF lesson plan) or clicked on an education email address during their session. Question: What are the most popular pages on my website? What is the load time for those pages by browser and device? Answer: This information lives under the Page Timings report (Behavior > Site Speed > Page Timings). Asking questions and knowing where to find answers in Google Analytics is a great place to start. But who has the time to dig into numerous GA reports on a regular basis for the marketing department let alone other departments? GA’s built-in automation is a great feature that can cut down on the time it takes to make GA a regular tool in your work life. Once you determine the most important metrics for each department, it’s time to collect them in a handy dashboard. Dashboards are built-in customization that allow us to collect all our most prized data in one convenient location. Collaboration is at the essence of almost every artistic endeavor. The creation and measurement of your website should be no different. 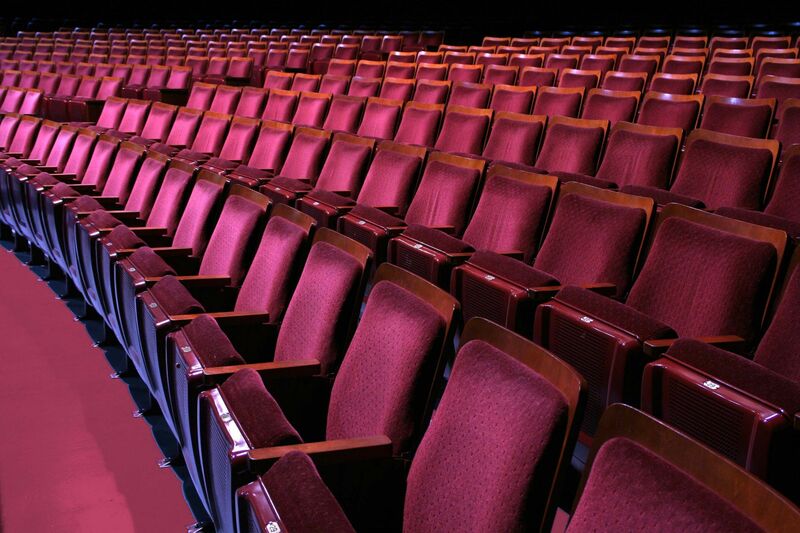 And while creating a website is very much like collaborating on a new theatrical performance, managing a website is very different. Whether you’re in the marketing, development, education, or IT department, you should be relying on Google Analytics to measure your site’s performance and taking advantage of data that can make a real difference for your organization. And if you’re not, you can start taking advantage of it today. You just have to begin by asking a question. 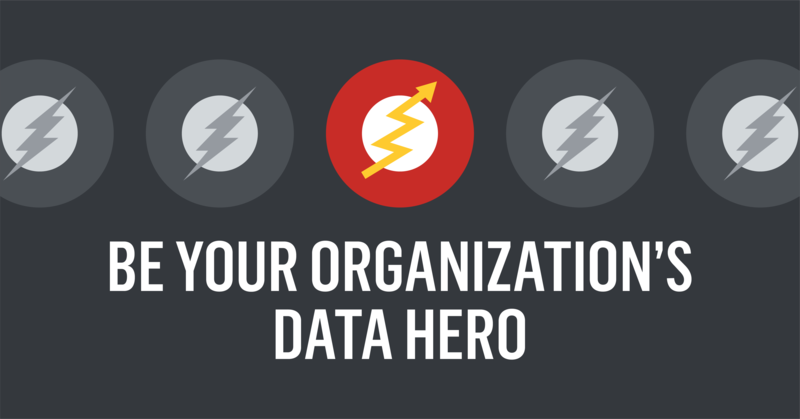 Want to become your organization’s data super hero? Unlock your Google Analytics potential. Sign-up for a free, 30-minute GA assessment with CI’s analytics team.